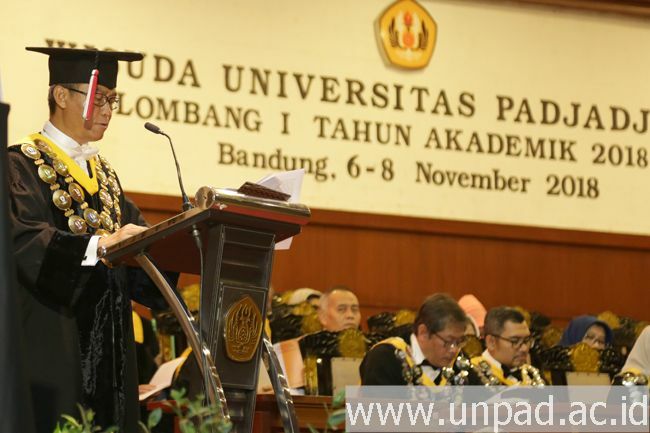 [unpad.ac.id, 11/06/2018] Rector of Unpad Prof. Tri Hanggono Achmad inaugurated 3,054 graduates at the Graduation Ceremony I of Academic Year 2018/2019 at Grha Sanusi Hardjadinata Unpad, Dipati Ukur Street No. 35 Bandung, Tuesday (6/11) to Thursday (11/08). 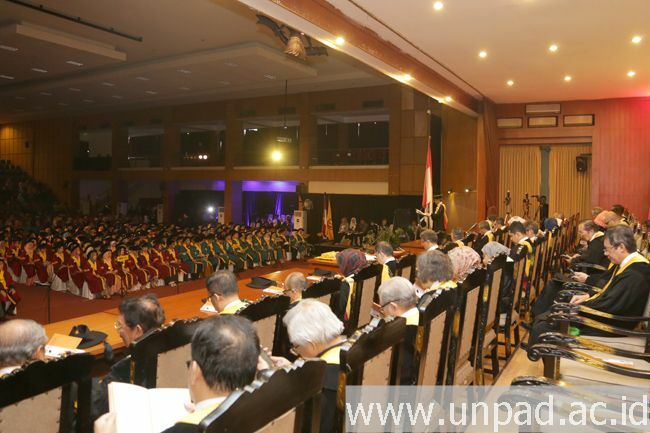 In his speech, one of the messages emphasized by the Rector to the graduates was about honesty and integrity. 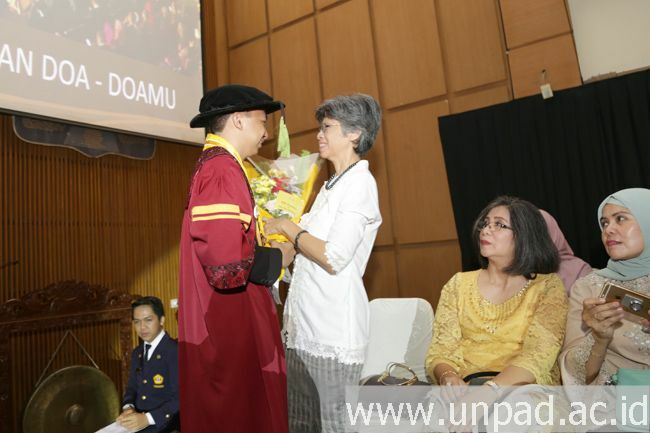 According to the Rector, to be good individuals, workers and leaders needed honesty and integrity. The Rector also quoted Scarnati (1997) in his paper entitled “Beyond Technical Competence: Honesty and Integrity” which said that a quality and successful leader will continuously display honesty and integrity as a basic element in his professional framework. Without honesty and integrity, all the skills possessed become meaningless. 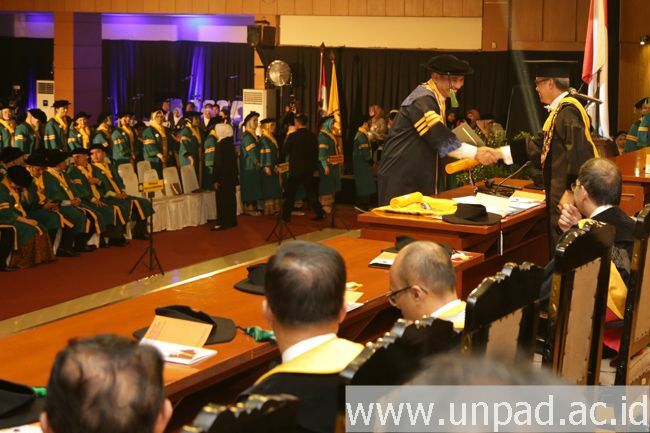 “Unpad is determined to produce future leaders. 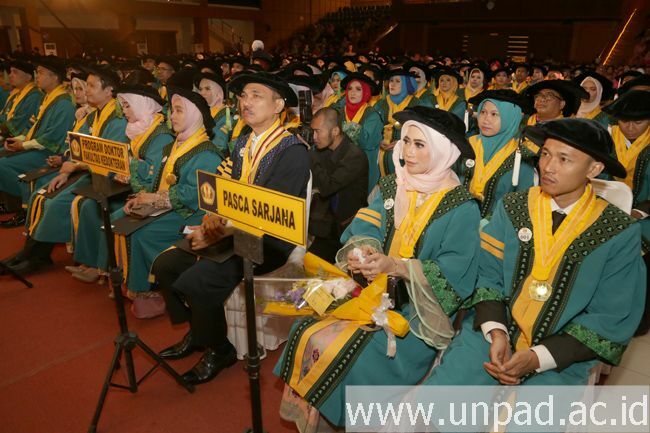 The important capital for that is honesty and integrity, “said the Rector. 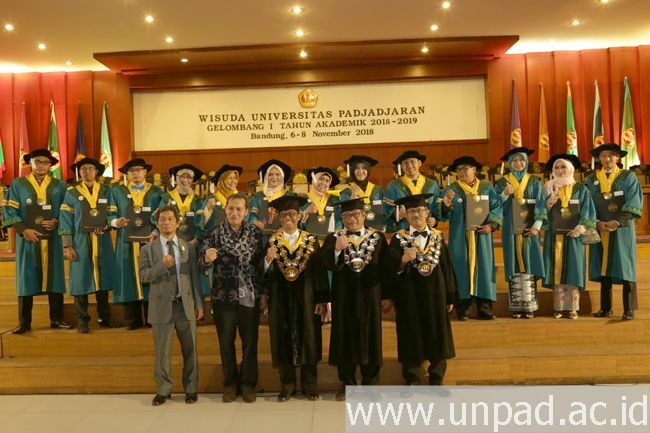 The Rector also advised the graduates to always remember the Unpad’s Principal Scientific Pattern (PSP) which reads “Foster Noble of Law and Environment in National Development”, which is a masterpiece of thought from Unpad professors, Prof. Mochtar Kusumaatmadja and Prof. Dr. Otto Soemarwoto. 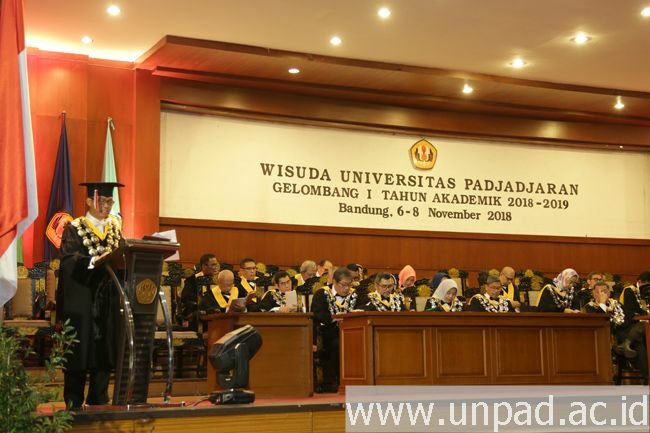 The meaning of the PSP should be an academic feature of every Unpad graduates to always uphold obedience to law, integrity, and concern for the environment. 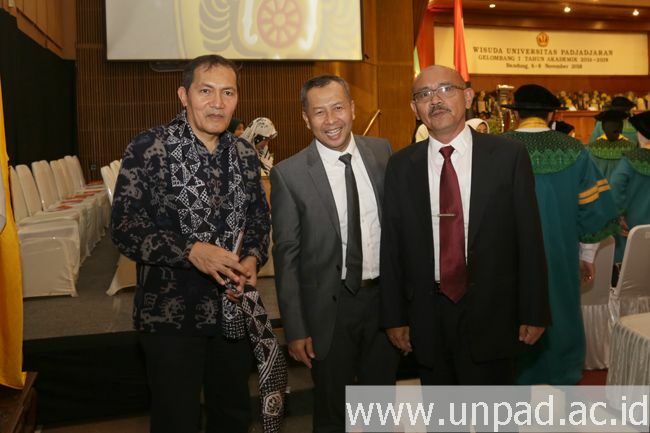 In line with the Rector, representatives of the Unpad Alumni Family Association and Deputy Chair of the Corruption Eradication Commission Saut Situmorang expressed the importance of honesty and integrity. According to Saut, the rapid development of information technology today is not comparable with the development of integrity. Saut acknowledged, building integrity is not an easy thing. But He believes, Indonesia will become a great nation if its people build integrity. “Smart is not enough. 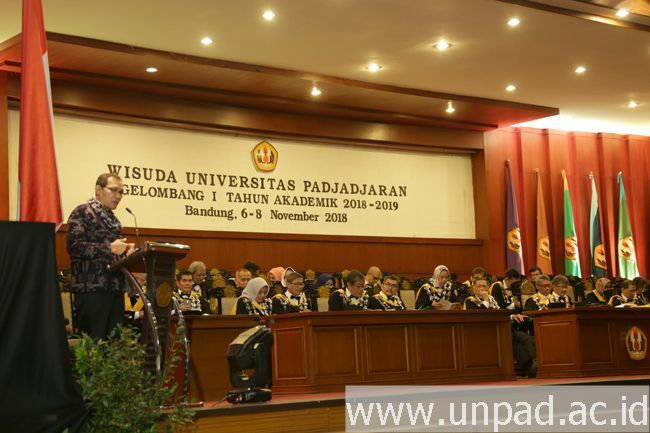 The main thing is integrity, because in integrity there is God in it, “said the alumni of Physics, Faculty of Mathematics and Natural Sciences of Unpad. On this occasion, the Rector especially congratulated the graduates who graduated with the best predicate for each level. 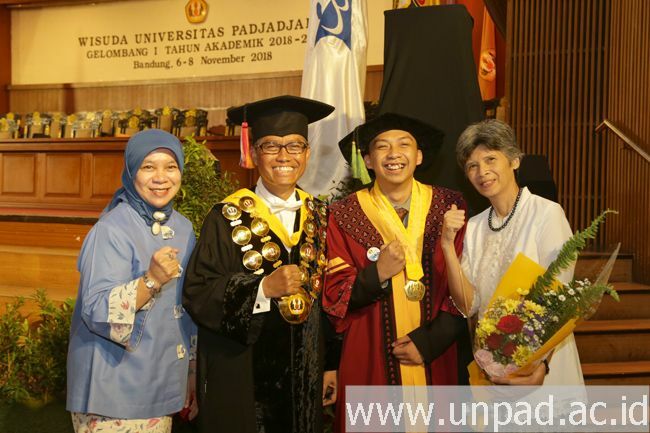 They are Gontar Alamsyah Siregar from the Medical Study Program as the best graduate of the Doctoral Program, Angga Pusaka Hidayat from the History Study Program as the best graduate of the Masters Program, Syahril Samad from the Oral Surgery Study Program as the best graduate Specialist Program, Helmi Mardhika Kusuma Wardani from the Pharmacist Study Program as the best graduates of the Professional Program, Fitri Hidayah Laila Pohan from the Agribusiness Study Program as the best graduates of the Bachelor Program, and Najia Aries Muslim from the Public Relations Study Program as the best graduates of the Diploma Program.